Stark Enterprises is pleased to welcome back family owned and operated All Brite Fencing Inc. and their annual Christmas Tree Lot to The Market at Estrella Falls this holiday season. This will be their fifth year in a row in this location providing families and local businesses of the Goodyear community with the tradition of picking out a real Christmas tree. All Brite Fencing Inc., a full-time landscaping materials yard, was established in Arizona in 1996 by Mark Milhon. The company has been involved in the Christmas tree business since 2006 originally beginning in Oregon, where they still grow and harvest trees today. When the Milhon family found that expanding their tree lots to Arizona where the market was rather sparse for the industry, they decided to open four tree lot locations around the state to accommodate the various communities, with their lot in Goodyear proving to be the most popular. As their new season is in full swing, the family hopes to surpass their goal of selling their 10,000th Christmas tree since being in business. With the tree lot’s fun and nostalgic atmosphere, it has become a special tradition for families to visit and look forward to. Setting All Brite Fencing, Inc.’s tree lots apart from any other big box retail stores is their commitment to quality and producing the most idyllic trees for their customers. The family works behind every stage of the growing process, which takes approximately 7-10 years before trees are ever displayed on the lot. Seeding, grooming and hand cutting each tree are the normal stages of progression they undergo to produce their beautiful eight- foot-tall Fir trees sold every December. 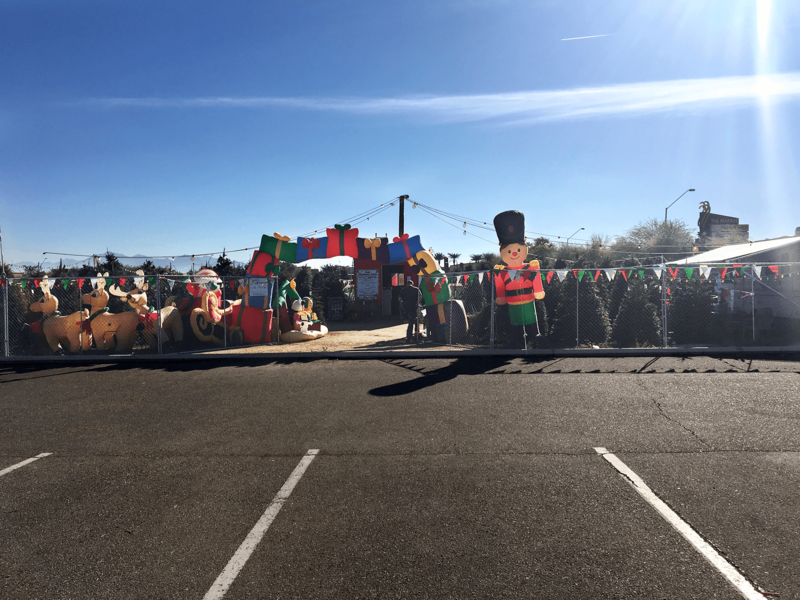 The Christmas Tree lot at The Market at Estrella Falls is currently open through December 31 during normal property business hours and is located adjacent to Comerica Bank. For more information, visit https://www.allbritematerials.net/christmas-trees. Headquartered in Cleveland, Ohio, Stark Enterprises is a full-service and vertically integrated real estate development company with the highest level of expertise in acquisition, development, leasing, property management, capital markets, construction, architectural design, landscape architecture, marketing and security. With approximately eight million square feet of Class A properties in its portfolio with an approximate value of $2 billion and over $1 billion in development, Stark Enterprises balances revolutionary idealism, new urbanist principals and sustainability practices with economic viability to deliver remarkable, next generation, mixed-use properties.